What Does Poverty Mean to Children? Child poverty has reached record levels with over 16 million children affected. One in 13 Americans are jobless, and many children are growing up with little hope for their future. For Poor Kids, which premieres next Tuesday on PBS, FRONTLINE spent months following six children who are growing up against the backdrop of their families’ struggles against financial ruin. 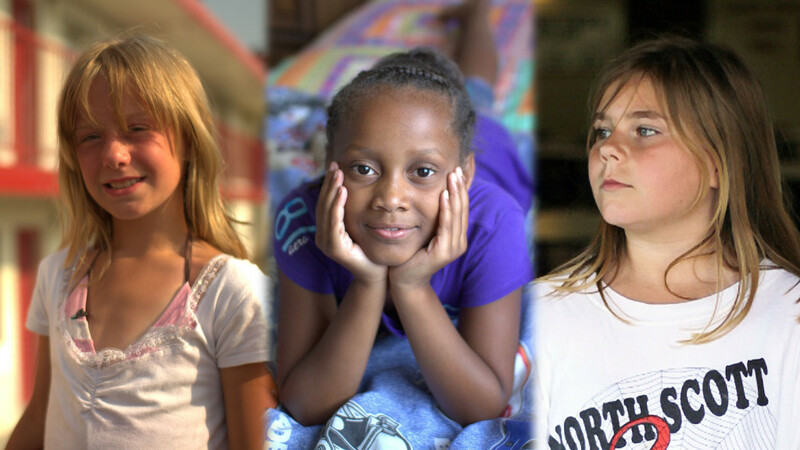 Filmmaker Jezza Neuman traveled to the Quad Cities, a great American crossroads along the border of Iowa and Illinois, to explore the lives of children living in the suburbs of the nation’s heartland. We asked the children what being poor in America really looks like through their eyes. Today, FRONTLINE is hosting a conversation at the National Press Club in Washington D.C. to explore what is being done to alleviate child poverty — and how we can address this urgent national issue. We’re streaming the event; click on the video box below to start. This event is funded by the Annie E. Casey Foundation.